Small Luxury Palace Residence, Praga, Czechy : Rezerwuj teraz! Small Luxury Palace Residence we offer Room service, Shuttle service (surcharge), Airport shuttle (surcharge), Tour desk, Luggage storage, Meeting/banquet facilities, Fax/photocopying, Gift shop, Bridal suite. Free WiFi is available in the whole building. Public parking is possible at a location nearby (reservation is not needed) and costs EUR 2.50 per hour. We are located in the picturesque Mala Strana neighbourhood. 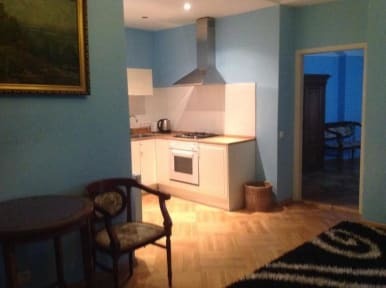 It is situated below Prague Castle, and within easy walking distance of all major attractions. 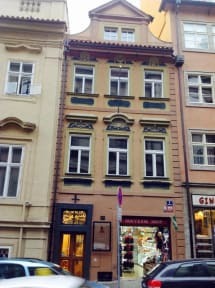 Small Luxury Palace Residence is only a short walk from Prague Castle, Charles Bridge and the St. Nicholas Cathedral. Free internet access is available. The rooms are furnished with Czech antiques and original oil paintings. We have in total 9 rooms - family apartments, suite, double rooms and single rooms. Satellite Channels, Flat-screen TV is available in all of them. We provide Non-smoking rooms, Family rooms, Heating, Designated smoking area, Fan, Hardwood/Parquet floors. Payment upon arrival by credit cards, debit cards (no American Express). Our Reception is open from 9 am until 8 pm. In case your arrival is later please contact the reception in advance to arrange your check in.